This is a refactor for the cache_entry_get_json() function to return a const json_t pointer. It's not valid for a caller to modify a json object that is sitting in the KVS cache. The idea to make this const came from #1265, as it took me awhile to hunt down a corruption issue when I began modifying json objects stored in the cache. Making cache_entry_get_json() return a const pointer had a lot of fallout. A very large number of treeobj functions had to be made const, which is the right thing to do and is semi-obvious (i.e. functions like treeobj_is_dir() or treeobj_get_count()). In the few cases that it made no sense for a treeobj function to take or return a const, an alternate function to take / return const was supplied (i.e. treeobj_peek_entry() over treeobj_get_entry()). In the KVS, there were several major changes that while correct / safe is probably a performance loss in the aggregate. Given more changes coming for the KVS, I think the correct / safe thing is preferable. Most notably, a large number of json_incref() had to be changed to treeobj_deep_copy() in the KVS internal lookup API. B/c json_incref() is obviously non-const and the caller could modify the json value returned from the KVS cache. In addition, in the KVS internal commit API, some shallow copies (treeobj_copy()) had to be converted to deep copies (treeobj_deep_copy()) as a shallow copy is non-const. This was probably the one change I disliked the most, as I know its not something we have to do performance wise. But for const safety, it's probably the best thing to do. This is a patch with both @garlick and @chu11 patches in it, so neither of us can merge. I've already reviewed @garlick's patch and approve. As an aside, the shallow treeobj_copy() function is no longer needed. We can remove it, but I left it in there for the time being. self-contained, and this is just an oversight in the jansson API design. My suspicion is that it's not const b/c of the potential to later call functions like json_object_iter_set_new. My presumption is its safe to cast away const if you never call functions like that. A comment along those lines may be worthwhile. 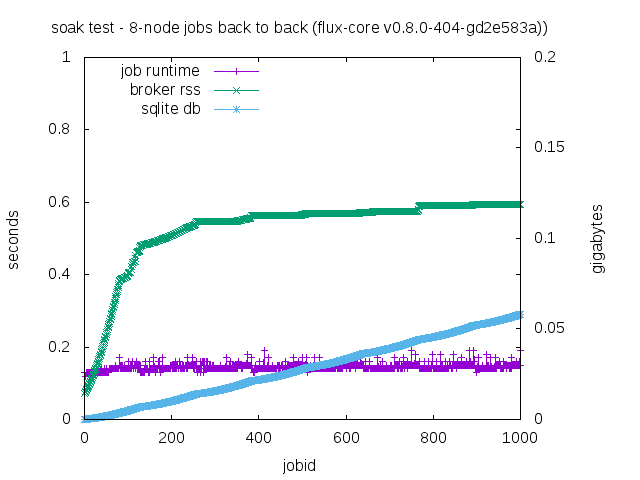 Coverage decreased (-0.03%) to 78.506% when pulling 3dfbb4a on chu11:issue1264 into 07780af on flux-framework:master. Merging #1269 into master will decrease coverage by 0.03%. The diff coverage is 79.41%. I'll try the soak test and see if there's any obvious performance hit for the additional copying. LGTM, just one very trivial comment (hesitated to even make it). I was going to also do the soak test but looks like @garlick is already on it. Yeah I think that should set errno = EINVAL. Thanks! Doh, I had forgotten the EINVAL part. Thanks for the catch. Just as a sanity check I ran test_treeobj.t under valgrind and it found some leaks, though they were in the test not in the treeobj code itself. After these fixes the test runs clean, so it is up to you guys if you want to fix the test or not. Thanks @grondo, will add that to the treeobj fixes I'm making right now. Sorry, yeah, I'll fix and edit those comments with new graphs. That RSS difference looked significant to me, but it's hard to get a sense of it with those units. Fix mem leaks in the test code spotted by @grondo with valgrind. Set errno = EINVAL and return NULL if symlink target is NULL. Feel free to cherry pick @chu11. Just updated those graphs. It's easier to see the diff now. @garlick thanks for fixes and the soak runs. I probably should have mentioned I didn't anticipate massive performance slowdown. Only slowdown in the sense that there are more mallocs & frees effectively. Seems there could be a nominal slowdown, but it's within noise of just being even. I had an 8000 job soak run going in the background and it finished. The slope of the RSS growth doesn't seem too concerning. my suspicion to the cause of the rss increase is the deep copying being done in commit.c. They were shallow copies before. There's going to be a nice chunk of extra allocations that aren't really necessary. Some experiments verify this. Mulling over if there's a way to do the shallow copy but keep const-ness (outside of outright casting). My first thought was if I could some way "unroll" deep copied json objects (i.e. replace newly allocated copies with a copy already exists in the KVS cache), but I don't think that's going to be doable. 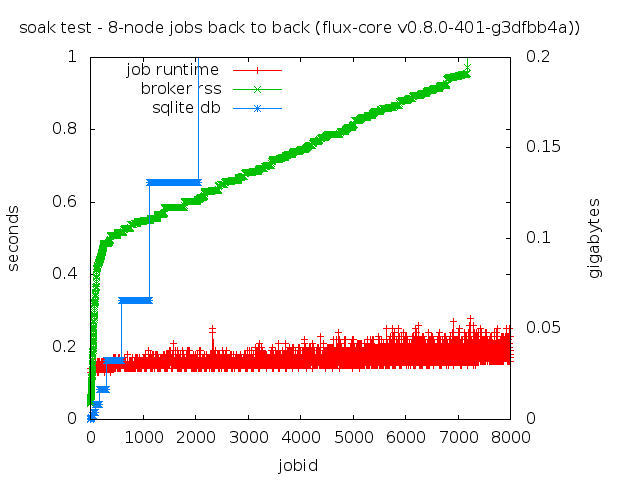 Coverage decreased (-0.01%) to 78.528% when pulling c936f4b on chu11:issue1264 into 07780af on flux-framework:master. Maybe the additional memory is OK if it helps ensure correctness. And maybe we can optimize later. It seems like we can put a const on the data returned by cache_entry_get_raw() for the same reason as get_treeobj(). I'm a little worried about cache_entry_set_raw() and cache_entry_set_treeobj(). Both allow their argument to change after it's been assigned to the cache entry. Maybe they should copy their argument. I actually totally forgot about that. I also forgot about possibly moving kvs_util stuff into treeobj (which I described in #1264). I think I'd prefer those changes in another PR. This one is a bit involved which is why I perhaps mentally stopped where I did (I need to remove the "Fixes #1264" in the commit message). True. Perhaps worth considering as well. I'll note it in the issue. @chu11 I think you can go ahead and squash as far as I'm concerned. Not sure if you need to wait for @garlick though. Works for me to do this in pieces. Plus, it's nice to start with a clean slate on monday! we put a const on it before we return it to internal callers. const json_t * where before they did not. those entries. Always return a copy of those entries. to modify any json object stored in the cache. tree objects to be used without casting const away. Er, actually, I don't think it's a big deal if it goes in with the orig commit message. At least I took out the comment in the code that was a bit misguided. nah, i think the fix in the code was enough. 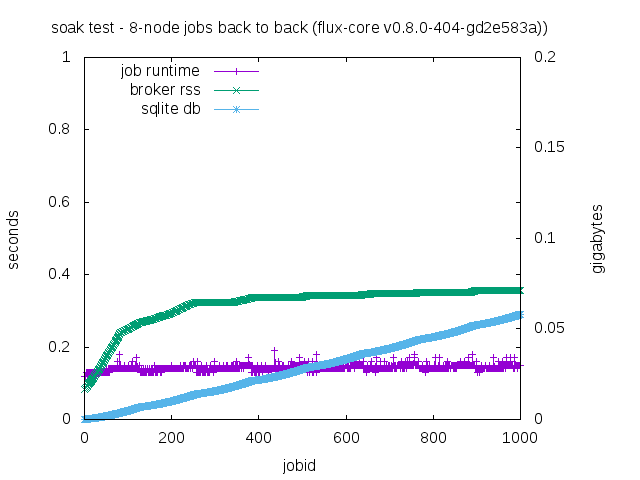 Coverage decreased (-0.03%) to 78.507% when pulling bc0a6e2 on chu11:issue1264 into 07780af on flux-framework:master.